With the explosion of exercise apps and fitness trackers, more people than ever are recording the routes they run during their workouts. Now, Nathan Yau from Flowing Data has mined some of that data to visualize some of the world's most popular paths. If there's one quick (and expected) takeaway, it's that people like to run by the water and in parks, probably to get away from cars and the scenery. In the smaller inland cities, there seem to be a few high-traffic roads with less running elsewhere. 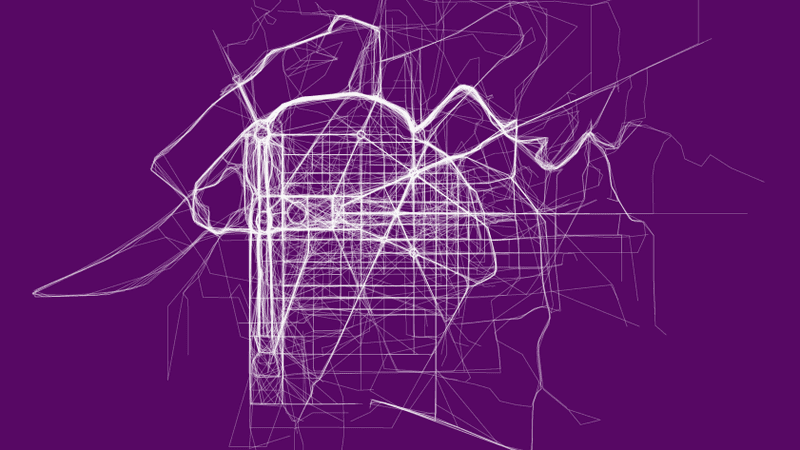 It's quite fun to look at the cities you know well and see if your routes tally with those that are most-trodden. But there's more to be learned here, too: you could use the maps to plan routes that you know should be quiet, and city planners might even be able to use them to improve or create dedicated running paths.